This photograph was taken in 1940-41 at 29 Clanalpine Street Mosman. The lady, with the small boy, was my mother and the boy my eldest brother Anthony. In the middle is my aunty, Stella Howson and on her right is my uncle, Charles Field. 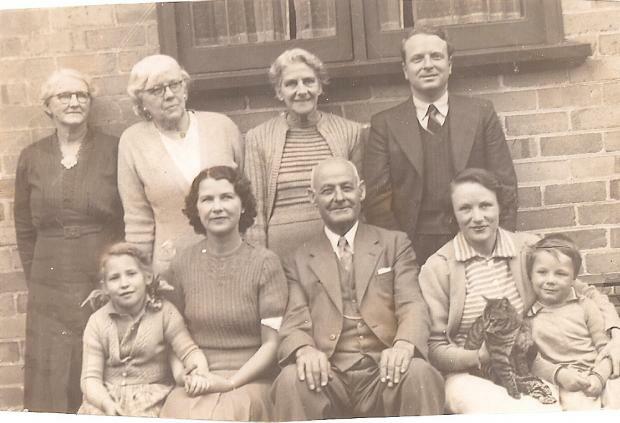 The gentleman sitting in the middle was the air raid warden but we do not know his name. Can anyone assist with the identity of those on the left of this photograph?